Did you know that you could make up to $2,000+ per month by being an Airbnb host? With hotel rates increasing, many travellers are seeking more affordable and unique accommodation options. If you’re planning on going away this summer, you may want to consider renting out your home while you’re out of town. This can be a great way to make some extra spending money. Airbnb has been my first choice for booking travel accommodations for the past couple of years. The platform is simple to use and I love the homely feel. Many of the Airbnb hosts that I stayed with absolutely LOVE renting out their space on Airbnb. Today I have a coupon for you to save $45 CAD off your next Airbnb booking. You can click here to get your free coupon! Making money with Airbnb can be easy because its commission structure is in the host’s favor. Guests are charged before arrival and you’ll get paid automatically after check-in, minus a 3% service fee. Before you get started in renting out your home on Airbnb, there are a few things you should know. How much money can you make as an Airbnb host? Does Airbnb provide any insurance for hosts? What if you’re hesitant to let strangers into your home? Don’t have any extra space but you still want to make money? Airbnb is an online marketplace which lets people rent out their spare room or entire property to guests. This can include holiday cottages, apartments, homes, basements, cabins, and more. For hosts, you can make money by renting out a spare room in your home or apartment, your entire property, or hosting an experience in your area. Airbnb takes 3% commission of every booking from hosts. You can click here to learn more. For guests, you can browse the Airbnb website through location and price to see reviews of past visitors. To book a place, you can message the host to verify availability or book instantly through the website. Airbnb takes between 6% and 12% of every booking from guests. One of the main reasons why people choose Airbnb over staying in a traditional hotel is because of the affordability. In my experience, Airbnb offers better value than traditional hotels and I love the homely feel. Plus, many people choose Airbnb to host their space or experience because it can be an excellent way to make money. Great way to make extra income. Extra money can help you eliminate debt, afford to travel more, or even switch to part-time work. 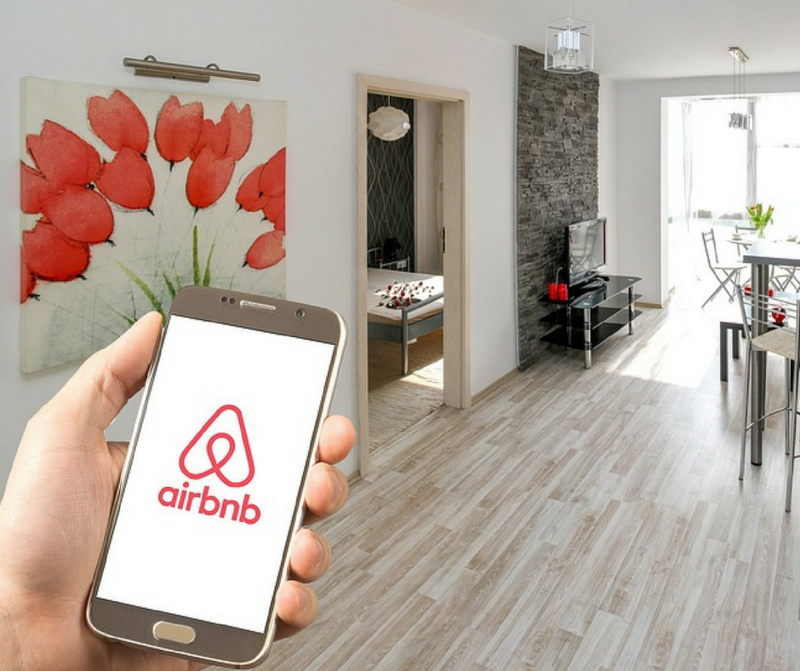 Airbnb provides insurance coverage in case property damages occur. This gives you peace of mind when hosting your space on Airbnb. Good flexibility. If you have friends or relatives that are coming to stay with you, you can block off the calendar and save your space for them. You can read reviews about your guests before you let them stay. You may even get regular guests coming back to stay again. You get to meet interesting people. I’ve enjoyed interacting with all my Airbnb hosts. Keep in mind that your space needs to be cleaned after each guest. Some Airbnb hosts hire someone to do this in order to save time. I have even stayed at an Airbnb where the host asked us to wash our dirty towels before checking out. Set clear goals for yourself. Why do you want to be an Airbnb host? Do you want to earn occasional income? Do you want your Airbnb income to replace your current income? Being a successful Airbnb host can require a time commitment. You will need to respond to inquires from guests. You may need to help guests check-in or clean up before the next guest arrives. Some Airbnb hosts have self check-in available for guests or hire someone to clean to prepare for the next person’s stay. One of the great things about being an Airbnb host is that you get to set your own price. Your income will be dependent on the space you are renting, its availability, and location. For example, if you are renting out a spare room to 1 guest in Toronto, you can expect to make around $900 CAD per month. If you are renting out an entire place to 4 guests in Toronto, you can make around $3,700 CAD per month. In New York City though, you can make around $1,500 CAD per month by renting out a spare room to 1 guest. You can also make around $5,000 CAD per month by renting out an entire place to 4 guests in New York City. Yes! 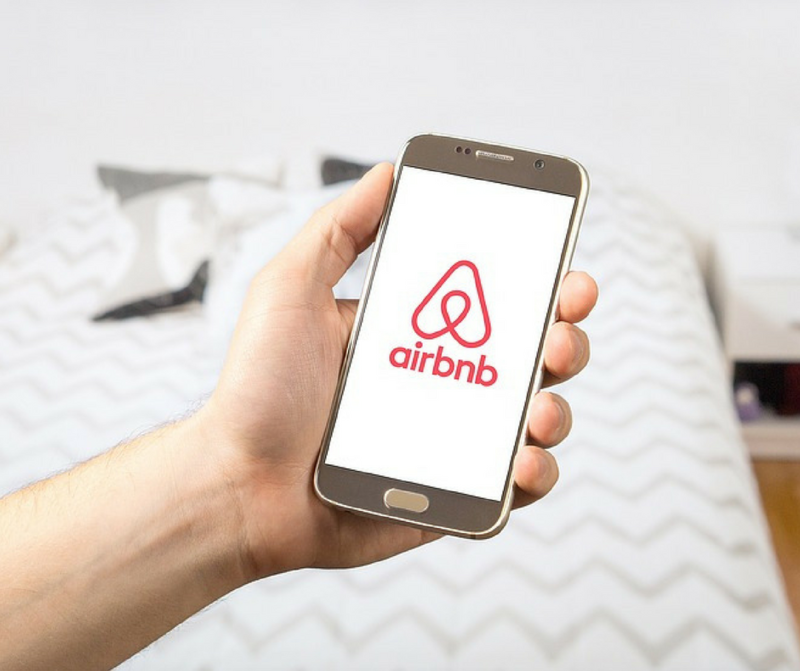 While accidents are rare on Airbnb, their Host Guarantee provides up to $1,000,000 of coverage in case property damages occur. Airbnb also offers 24/7 host support to give you peace of mind. You can click here to learn more. As a host, you can also require guests to provide an official ID and complete Airbnb’s verified ID process. When I traveled to Amsterdam, I stayed in a home hosted by a senior lady. She asked me to provide an official ID before accepting my booking. It’s easy to become an Airbnb host in most areas. Plus, it’s free to create a listing. Get started here and follow the steps below. Create your listing on Airbnb (it’s free to do). They make it easy to set everything up and determine a competitive rate for your listing. Of course, it’s up to you how much you want to charge. You can get to know your guests by messaging them through the Airbnb platform. Whether you meet them in person or send them a door code, it’s up to you. With Airbnb’s secure payment system, you never have to worry about dealing with money directly. You will get paid automatically after check-in, minus a 3% service fee. You can choose to become a host for your neighborhood or make money by hosting a unique experience (hiking, cooking classes, and more). You can click here to learn more about making money with Airbnb. Sign up for my free newsletter to receive exclusive tips to help you save money, make money, & live with intention!